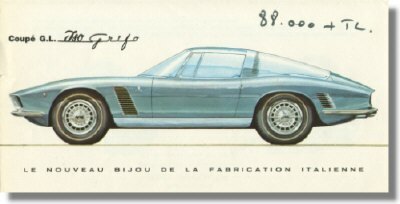 1960's Iso Rivolta / Iso Grifo Brochure. 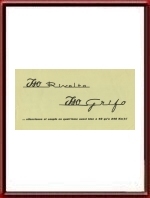 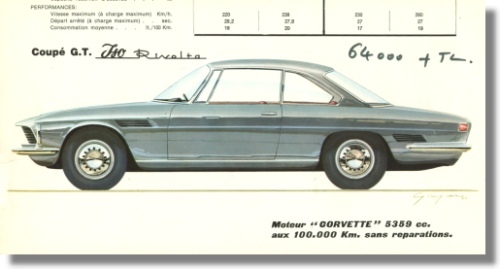 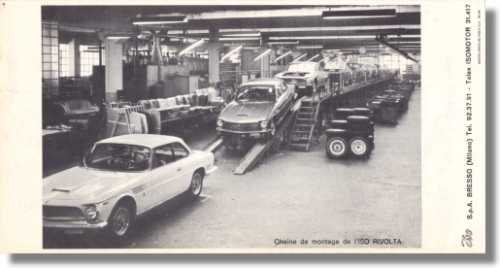 This is a small 1960's Iso brochure that elaborates on the Grifo and the Rivolta. It measures some 8.5 x 4 inches, or 21 x 11 cm, and folds out 3 double-sided panes showing design drawings of both cars + the chassis and the assembly line. 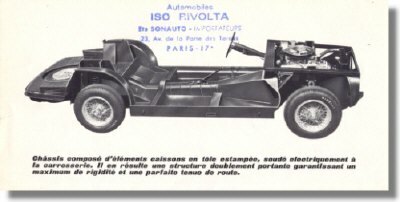 Official Iso factory issue with French importer's stamp (Sonauto) and hand-written prices in FFR. 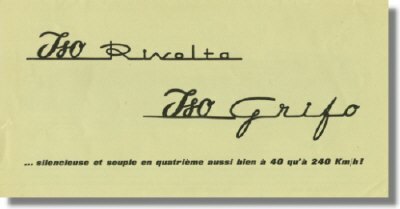 Good condition but very small tear (0.25 inch) on the left side (visible in the scan).